After decades of propaganda and blatant ignorance, the sweet leaf finally debuts in mainstream media. 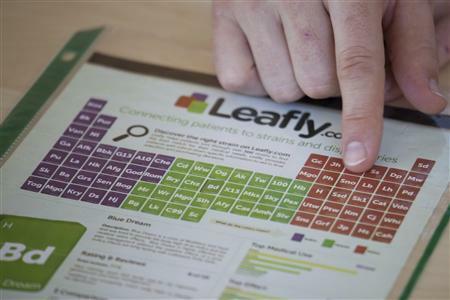 With its full-blown, full-pager in the New York Times, Leafly makes history in blazing print. 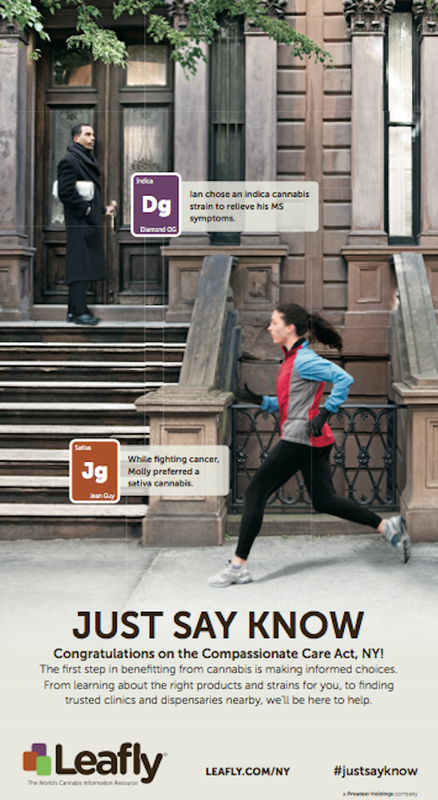 The ad’s blunt. (Can’t help the pun). I’m dubbing this advertising’s finest moment. Big boom for Denver agency Redrag & Bull. Their approach: there’s a leaf for every symptom, you just need to know. It’s medical and as legal as any other over-the-counter suspects: uppers, downers, screamers and sleepers. No more pills for them headaches, backaches, depression, appetite loss. This also comes with FREE make-your-world-more-funny goggles. Me likey. So what do these pot loving digital hipsters do? Leafly provides information about different pot strains and where to buy them. That’s being in the know. All made possible via their app and website. Helpful stuff. Literally 🙂 They have run a few ads before, none this big or this ‘addy’. Now waiting for this to go international. Happy campers: Bill and Ted, Cheech and Chong, Scooby and Shaggy, Beavis and Butthead amongst the first to celebrate this newfound knowledge.